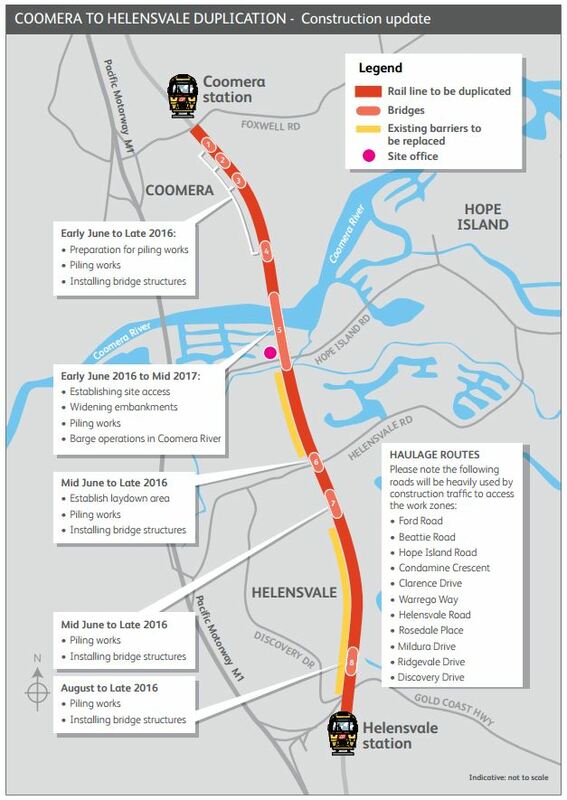 Queensland Rail is duplicating the final section of single track on the Gold Coast line, between Coomera and Helensvale stations. The $163 million project will complete the 'missing link' on the Gold Coast line and deliver improvements to services for the Gold Coast, prior to the 2018 Commonwealth Games. Construction is well underway and the project is due for completion by late 2017, weather and construction conditions permitting. Replacing approximately 3.8km of timber barrier fencing with concrete barriers. Future capacity of up to 17 trains per hour, dependent on increased inner city capacity and rail corridor enhancements.